Today we’d like to introduce you to Sara Pettinella. Sara, please kick things off for us by telling us about yourself and your journey so far. I was born in Rome, Italy, and was raised by a family that truly valued art in our everyday life. We would go to the theater, museums, and galleries, and read books. At home, my stepfather would listen to jazz, Bossa Nova, and traditional Neapolitan music. Dates with my uncle were always at the movies. My mother taught English literature and ran the theater program at her school. She “edited” stories from James Joyce and Virginia Woolf for me, as they were less scary or cruel, and more feminist than most European bedtime stories. I grew up accompanying her and her students to The Keats-Shelley House on the Spanish Steps in Rome and spending part of my summer holidays with them in the UK. 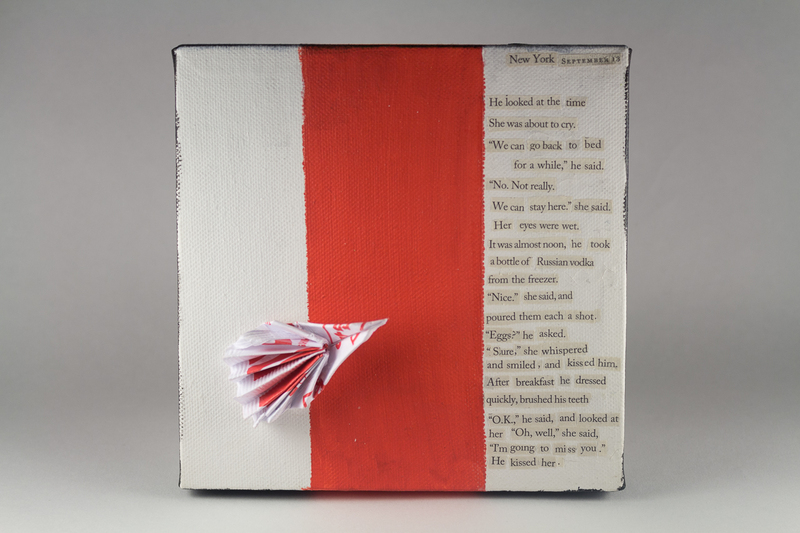 Poetry and narrative were my shelters, to the point that books became mental spaces for me. My very first attempt to express my feelings was actually through creating “book houses.” I would take an empty notebook and start drawing rooms, terraces, staircases, courtyards, and gardens. I would then “enter” the book through my imagination and create stories within those houses. I would draw and add neighbors, filling in their imagined lives. I would build families and communities and talk to them. When notebooks were too small to contain them, I would create collages on the wall. I remember how my interactions with my creations would alarm my mother and beloved caretaker, Lucia! After my mother divorced and I moved in with her, my maternal grandparents became a larger part of my life. I bought a French language course on cassette with my grandma Pina’s allowance and selected books to “borrow” from my grandpa Theo’s collection. He owned beautiful, elegant editions of all the classics, especially the Russian masters Pushkin, Chekhov, Tolstoy, Gogol and of course my favorite of all: Dostoevsky, who kept me company for many years thereafter. During my troubled teenage years, I drew, painted, collaged, wrote stories and poems, played the piano and guitar, but I was still very introverted and uncomfortable with the outside world. I took my parents’ advice and studied art history in college. It was truly amazing to rediscover Rome and Italy, through my art history books. I sometimes didn’t even need to look at the pictures—I would note the names and the places and just walk there. Caravaggio, Guercino, Bernini, Borromini, Raffaello, Klimt, Duchamp… just a few blocks away. I was so inspired, I really needed to produce art, systematically, and I needed to use my hands… so I volunteered to help my friend Antonia, who wanted to be an actor, for a show in a small black box theater. I was hooked! A few months later, I was in Brussels, Belgium, assisting the amazing costume designer, Elena Mannini, and her brother, set designer, Armando Mannini, who had been working for the most famous Italian and European directors of the previous 40 years. I went on to work in theater, TV, and film productions for the duration of my undergraduate and graduate years. My interests gradually shifted to other aspects of production and also toward photography, a medium which was something I could do myself (without a cast and crew). During my Masters in multimedia communication where I had a chance to study photography, video editing, and interaction design, I discovered Marshall McLuhan, Lev Manovic and Derrick de Kerckhove, who all changed my life! I had always been focused on the past, growing up in an ancient city like Rome. Now I had a computer, and a modem and the world looked so exciting and open and multidisciplinary and hypertextual. My mentor at the time encouraged me to submit my graduation thesis to an annual competition organized by the Museum of the Photographic Image and Visual Arts (MIFAV-University of Rome II) called “Interfaces.” It was a multimedia CD-ROM that the viewer, through an interactive map of the city of Prague, could connect with one of its most illustrious inhabitants, Franz Kafka. I actually ended up winning the competition, bought my first camera with the award money, and since then have continued to experiment with different media. I spent my first years after college working as a designer while studying photography with a focus on social documentary at night. The artists that most inspired me were: Julia Margaret Cameron and, of course, Diane Arbus, Dorothea Lang, Henri Cartier-Bresson, Josef Koudelka, and Paolo Pellegrin. My greatest experience, that gave me the chance to experiment with photography in the field, was working for a refugee agency and United Nations partner. I was able to visit refugee camps in different parts of the world, approaching people through photography, collecting their stories. I even worked on developing a set of ethical guidelines for photographers in conflict/war zones and rules for photographing people in vulnerable categories. 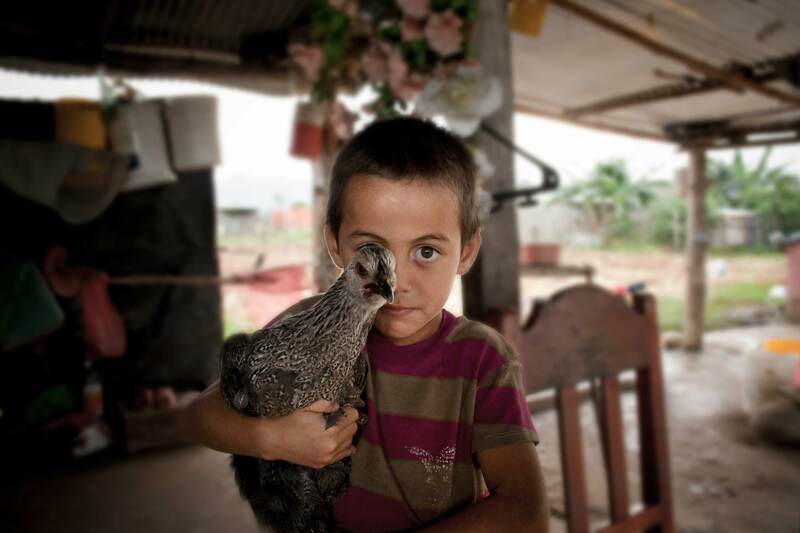 I continued traveling after that, working on my own photography workshop projects in Venezuela and India, inspired by the photographer Zana Briski (Kids With Cameras). 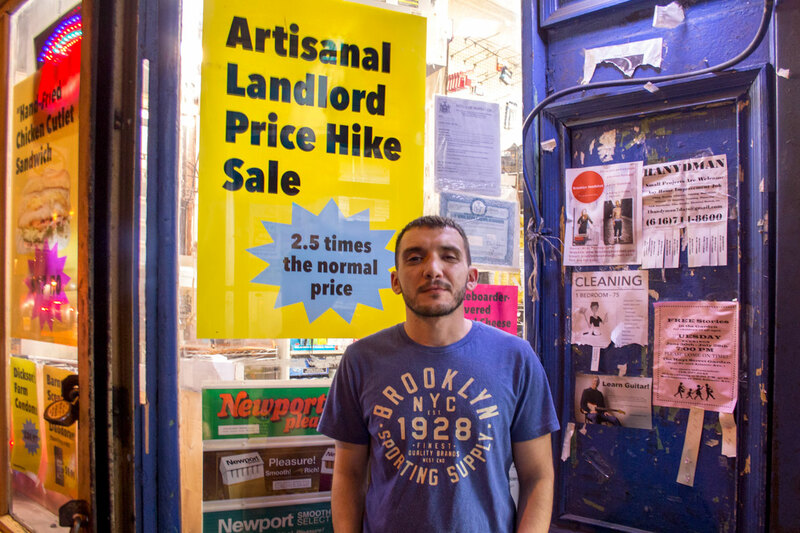 Following travels through India, Nepal, the Balkans, and London, I finally arrived in New York City, where I immediately felt part of a larger community. I met the amazing Chiara Bernasconi (artist and collaborator), Holly Miller (fantastic painter), Elena Berriolo (book artist, performer, and social activist), and finally, my husband, pianist and composer, Art Hirahara, who supports me, works with me and inspires me every single day. In New York, I found the cutout community that I had pasted on my wall and had imagined since childhood! This community helped me become who I am today. I’m an editor. Of course, I’m a photographer, filmmaker and I make collages. But I edit. If I’m working on a collage, producing a documentary or music video, telling a story through photos or portraits or landscapes, I’m editing. I’m filtering what I see and organizing it in a way to reveal its inherent beauty. I’m not creating beauty with my art. I’m merely searching for it and presenting it with my heart and the strongest empathy of which I’m capable. I like to listen, observe, receive, and feel the people I meet. I love authenticity and truth even when it’s painful or brutal. Truth is beauty. I do believe Keats’ words. I see the beauty around me, the dignity in human beings, the loyalty of animals, the resilience of the environment. This is what inspires me. Where there is pain and injustice, there is always beauty and courage. Sometimes one really has to search for it, but eventually, it can be found, revealing a space where we can be free and honest with ourselves. Of course, my art is very much about life and reality. It’s sometimes social, sometimes about other artists. What I hope people can get from it is a sense of community and belonging. Feeling close to the stories and its protagonists, even in sad circumstances, they can identify without feeling guilty or judged. Maybe they will be more open to listen or to even change. I have been transformed so many times by listening to the stories of amazing people. If through my art, I can amplify these voices and share them with a wider audience, I will feel satisfied. I would guess the biggest difference with the past is that, for centuries, there seemed to be only two kinds of artists. There were the ones who were accepted and hired by kings and rich commissioners. Then there were the ones who were more rebellious and could not satisfy clients, and as a result, had to struggle to survive. Gradually, we have arrived to a time where there are many artists with a wide variety of backgrounds who are creating work. There are definitely more women artists and artists of different religions and ethnicities. Local or global events, historical turning points, etc. can give reason for the current artist population to exist and have a voice. I don’t know how many artists currently live on commissions, but I’m sure that the freedom they have to produce their artwork while expressing their own viewpoints has increased, even for commissioned work. Artists today can really make a difference. As a documentary filmmaker and social documentary oriented photographer, my work is always permeated by reality. But now, there are so many campaigns and events that are promoted by artists, that in whatever form the art takes, an artist can always donate that work to a cause. An artist can participate in a local, international, political, or social event and add a layer of extra meaning—a greater impact through their medium. I’m grateful to be able to express myself today, despite many reasons to be sad and angry with the state of the world. I really hope to make meaningful art and share it to promote and support my strongest faith in human, animal, and environmental rights. My work is visible on my websites and the websites of people I collaborate with, mainly musicians, artists, and creative people—many women lately, and more in the future, I hope! It has also been presented at events, galleries, and universities. 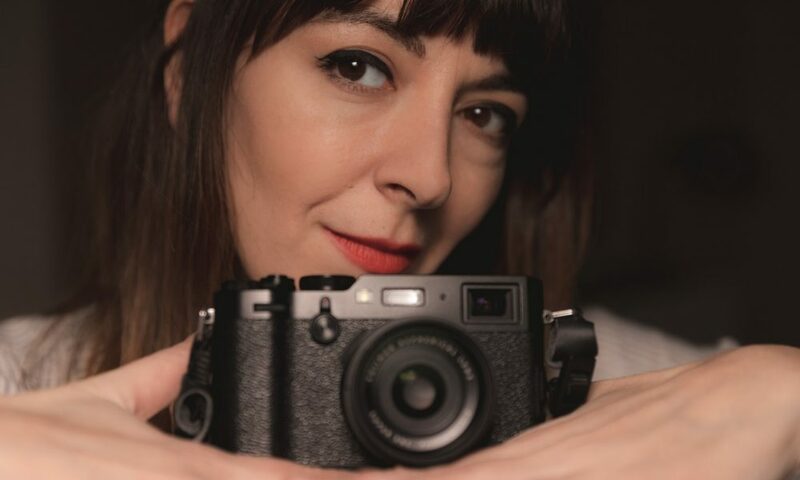 I would love people to watch and share my documentary videos for artist Elena Berriolo (https://youtu.be/gYYBAMIVZeI) or the music videos I produce with my husband (https://youtu.be/5v9eGmEK26o, https://youtu.be/pjW-yFRt_WI). 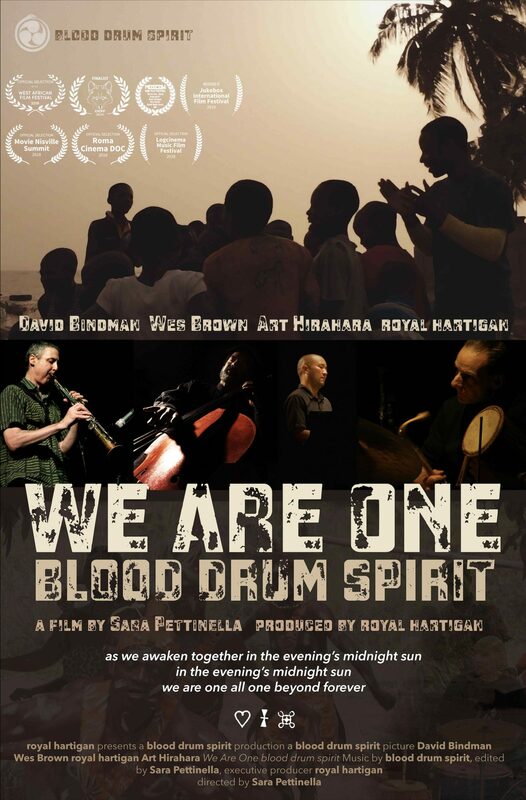 My most ambitious project since I came to the US has been the jazz documentary I directed, “We Are One: blood drum spirit,” produced and written by royal hartigan and featuring musicians David Bindman, Wes Brown, Art Hirahara and royal hartigan (http://www.weareonethemovie.com, watch the trailer here: https://vimeo.com/221970051). 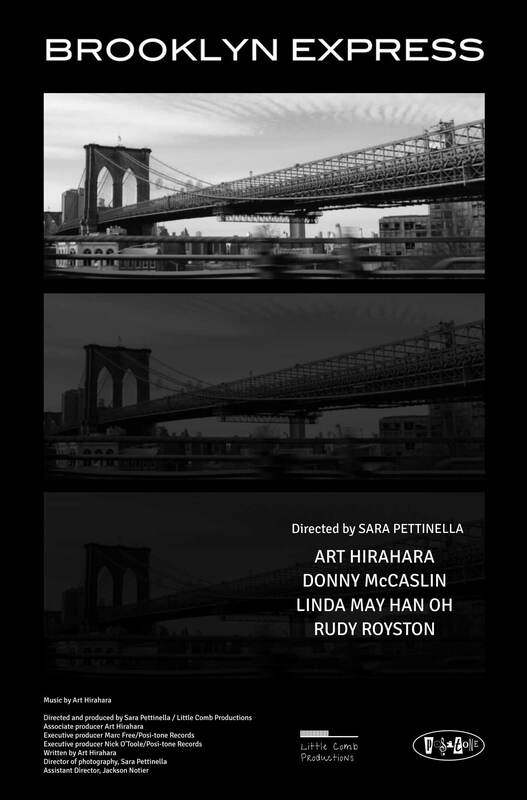 This film is still unavailable to the general public, but has been screened as an official selection at eight festivals worldwide and won two awards (Best Documentary Feature at The Jukebox International Film Festival in Cason City, Nevada, and Best Music Score at The Moscow Indie Film Festival in Russia). 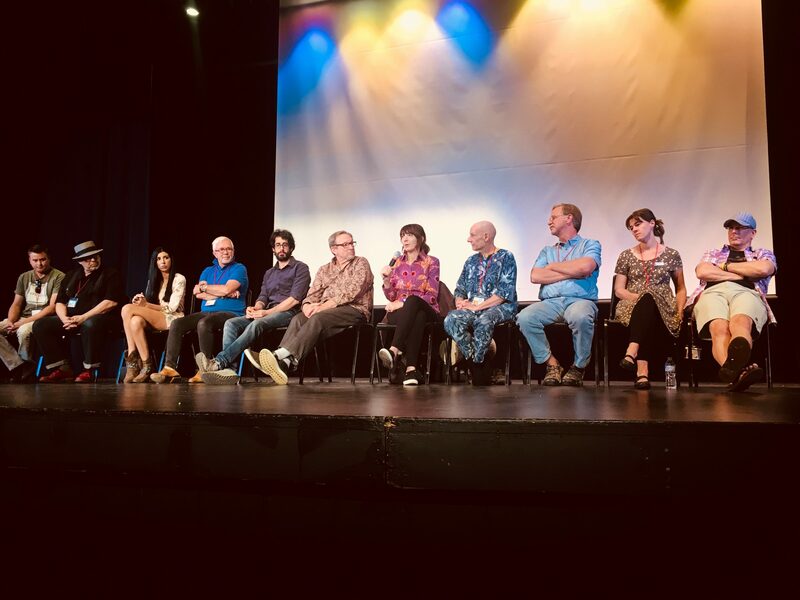 While receiving some recognition so far, it would be great to see more people coming to screenings, participating in Q&As, and getting involved. For me, it was the first feature film I directed, but I have been documenting, for the past six years, a project about music and disaster relief following the earthquake/tsunami in Japan in 2011, so I hope to eventually produce a film about it. I’m now in the process of writing a new documentary that I’m hoping to also shoot in Japan in the fall of this year.